The pond outside the Rotunda is teeming with life at the moment. 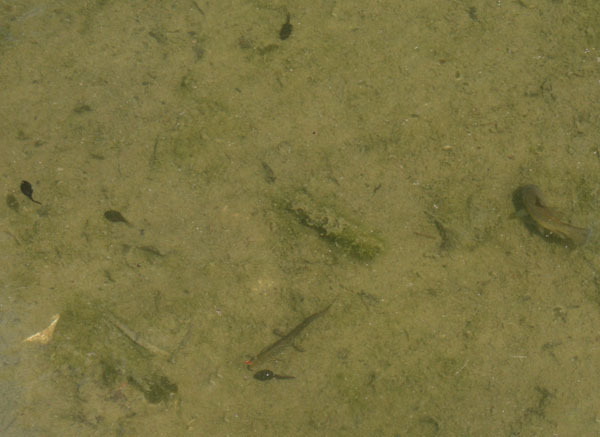 Masses of tadpoles, some fish and a really healthy number of newts make this a fascinating place for children (and adults) to study watery beings. I was surprised to read your news letter about the pond teeming with wildlife. Are you aware that, in the spring and summer, the children remove/kill the wildlife. This happens every year. Is there anything the friends of Preston Park can do?